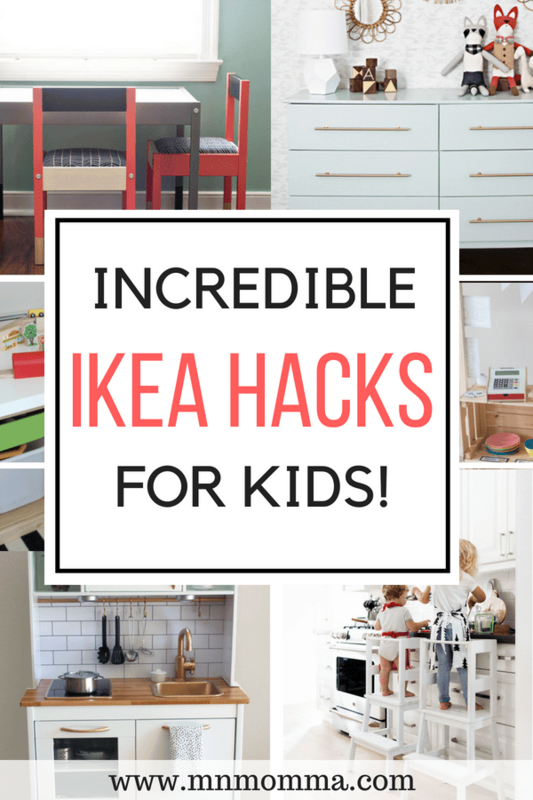 Have you been on the search for some incredible IKEA Hacks for Kids? 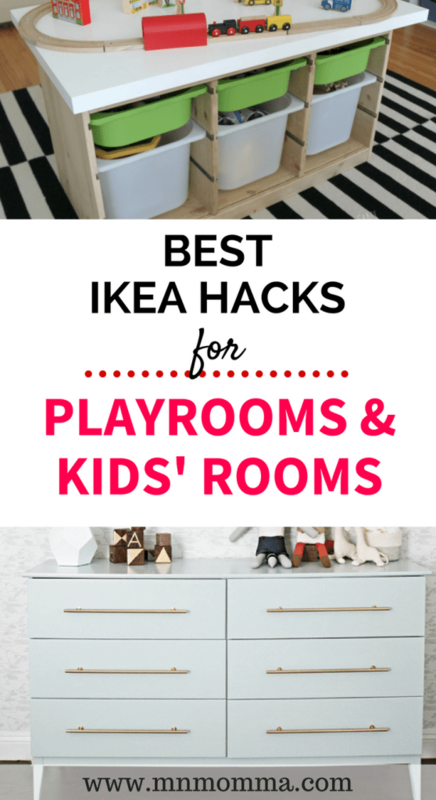 Check out these amazing IKEA hacks for your kid’s bedroom or playroom. You won’t regret the unique and creative touch they add – plus, the price tag is pretty tough to beat. Some of these DIY IKEA hacks are also pretty easy, even if crafts are not your strong suit. If you’re searching for IKEA hacks to personalize your baby’s nursery, jump over to my post for IKEA nursery hacks. Unfortunately, if you don’t live near an IKEA store, the cost of shipping can be a deal breaker. For each hack, I’ve done my best to find you the same IKEA product on Amazon or a frugal look-a-like version to save you a little money! I’m just trying to make your project even better, because who doesn’t love saving money? If you’re feeling inspired by these projects, don’t forget to use Amazon Prime to get your free 2-day shipping (or just use the free trial and enjoy free shipping for 30 days!). I always feel really motivated when I see incredible projects like these and want to get started right away! 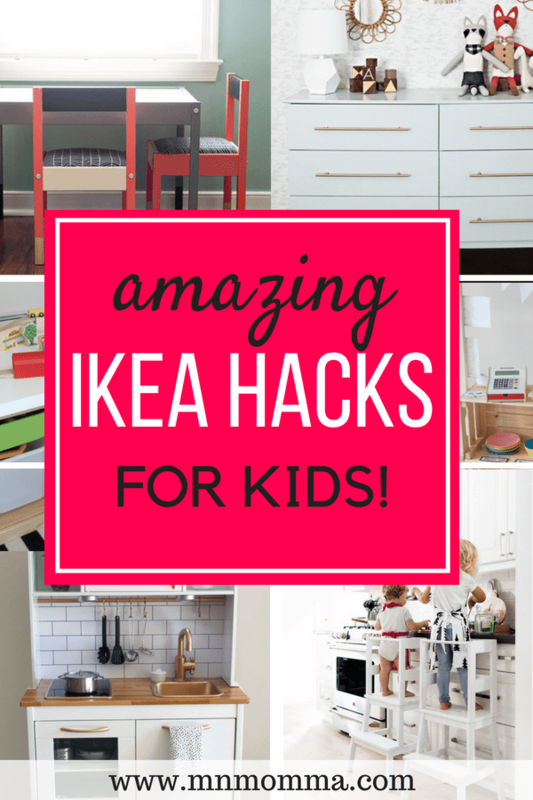 So here we go – the most beautiful, incredible, and awesome IKEA hacks for kids. You just might find yourself having to pick and choose which project to start first! This might be the best of all the IKEA hacks for kids I’ve seen. I LOVE how practical it is, how much use it’ll get, and the COST (is amazing!). 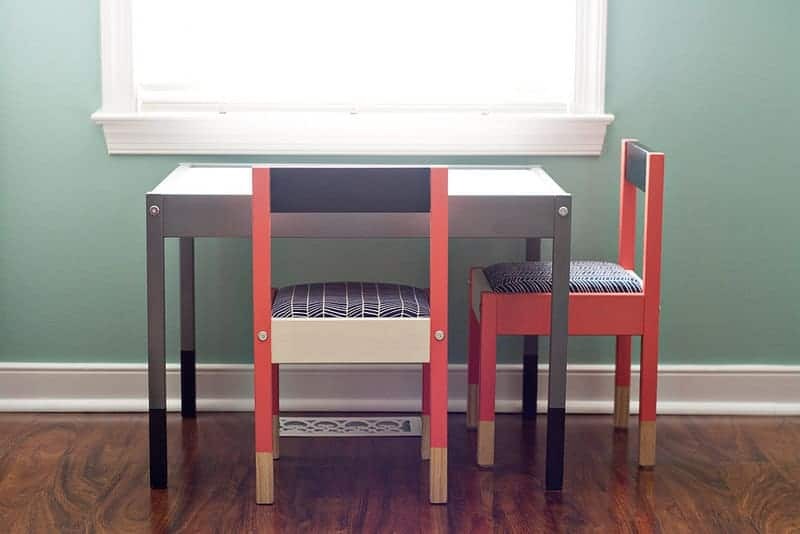 Sina from Happy Grey Lucky, created this awesome tutorial for a learning tower for your kids from a simple IKEA stool. 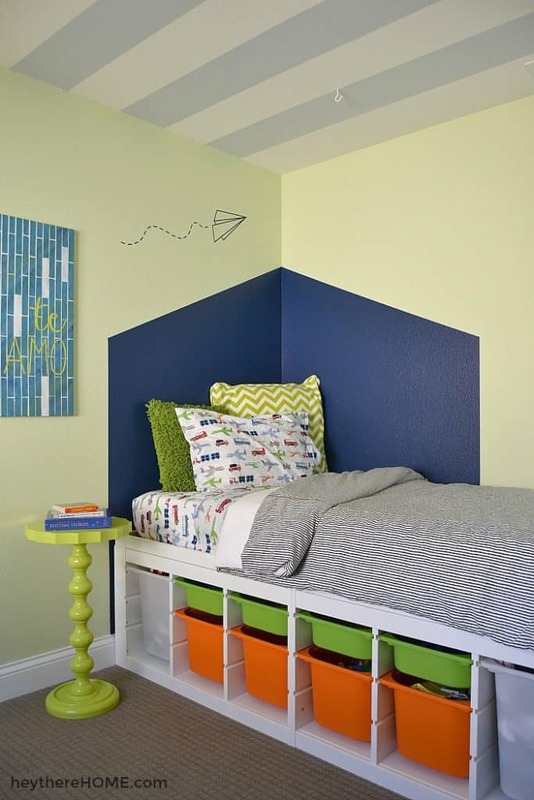 The entire project only cost her $38 – seriously – so cool! Check out the full tutorial right here! Get the stool on Amazon with free shipping here! How adorable is this little market stand? 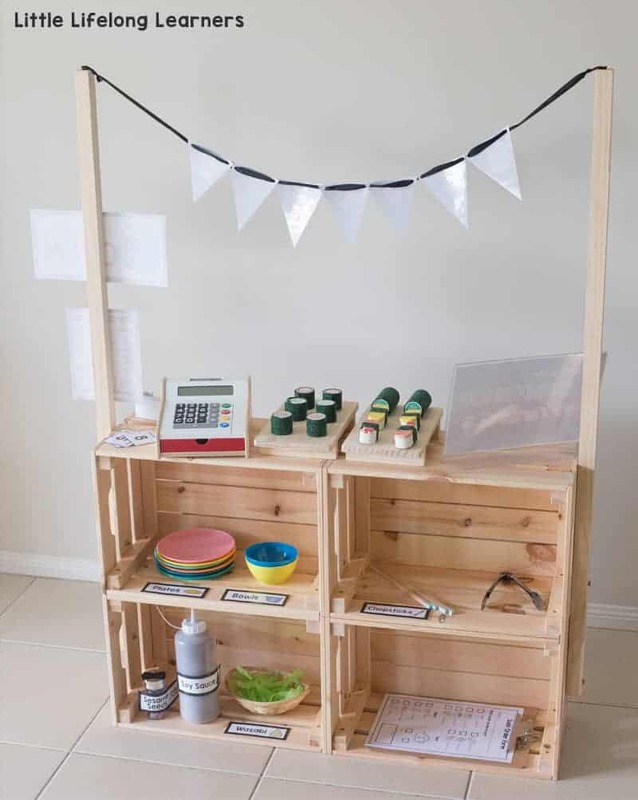 Whether your little one is selling lemonade, ice cream, or grocery shopping, this stand is the cutest! Casey from Little Lifelong Learners, knocked this playroom necessity out of the park. Check out Casey’s how to right here to make your own! Click here to grab the IKEA crates you need from Amazon instead! 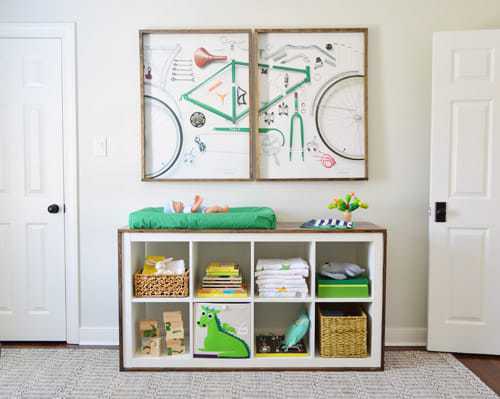 Whether you choose to create a baby changing table or an awesome toy storage area – this IKEA hack is pretty amazing. 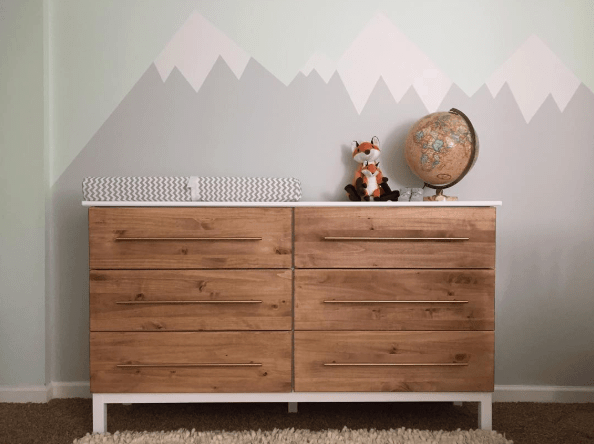 Young House Love shared their creative rustic design staged as a changing table, however, I can totally see this in a little boy’s rustic themed bedroom or a little girl’s fairy tale forest room filled with books and bins for toys. Check out the full tutorial here! 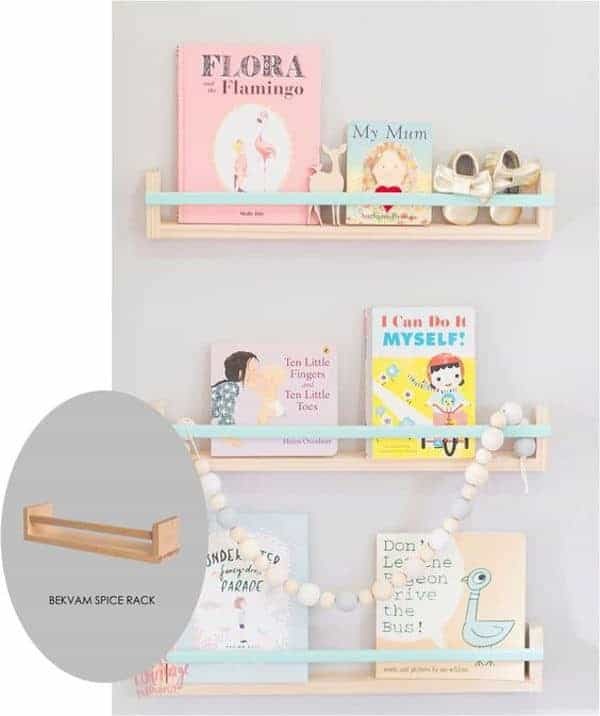 Here’s a similar bookcase from Better Homes and Gardens on Amazon – free shipping with Prime! 4. 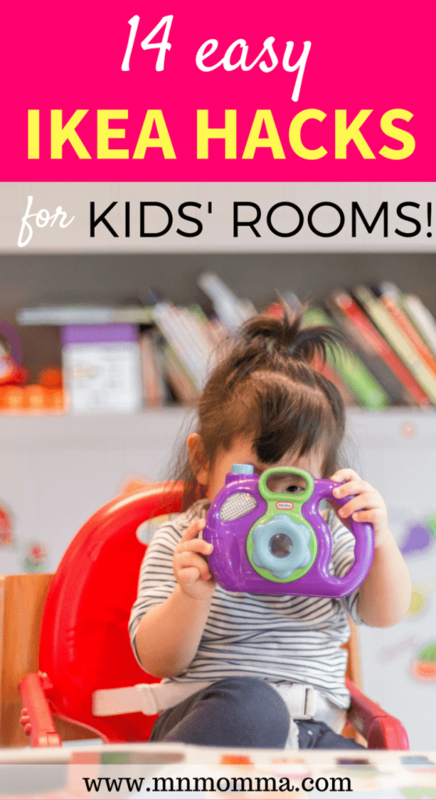 Gorgeous High End Kitchen – For Kids! Sometimes your kids just beg and beg for a gorgeous, beautiful, kitchen remodel. Oh wait, that’s me. But if I can’t have gold fixtures, white subway tile, and butcher block counters, at least my babies can have it right? 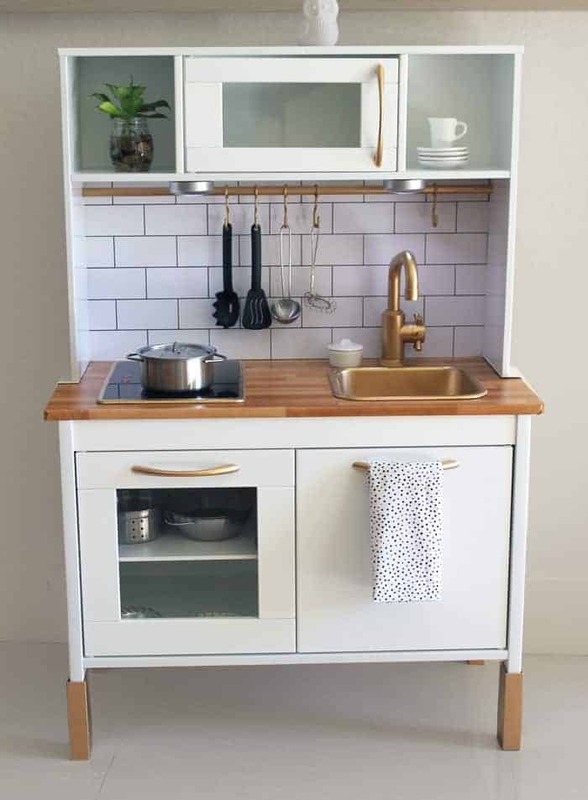 Check out this gorgeous IKEA kitchen set hack here on Craftykins. I’m in love! Organized clothes are nothing to scoff at. 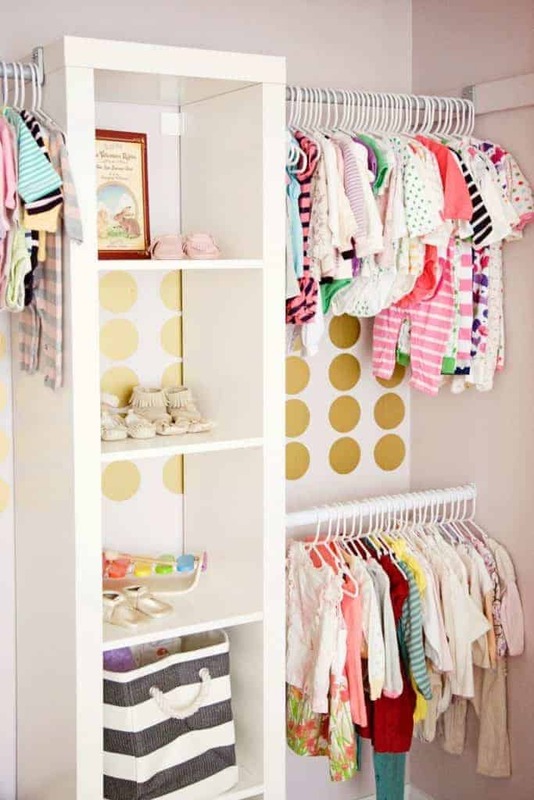 Take for example, this gorgeous and fun closet! Erinn at Strawberry Swing and Other Things created this organized closet with a few key IKEA closet pieces. As a bonus – you’ll be able to fit more cute clothes, with the right organization system! Click here for the Frugal Version of this IKEA setup! This train table by the Crazy Craft Lady is awesome! Maybe it’s because I have a little boy who already loves “choo choos”, or it’s the clean organization of it all. I think I need this in my basement – yesterday. 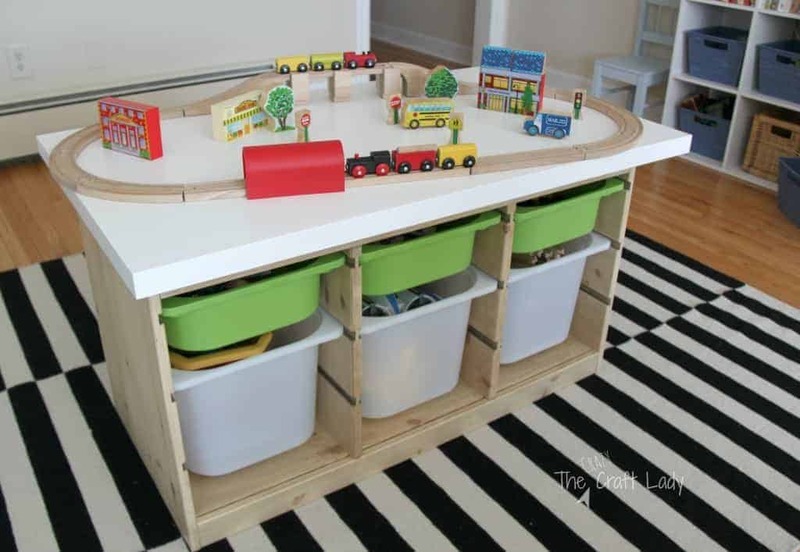 You won’t even mind having your kid’s trains or toys out with this cute IKEA hack. Check it out here! Save on shipping! Find the Ikea Trofast Frame on Amazon here! 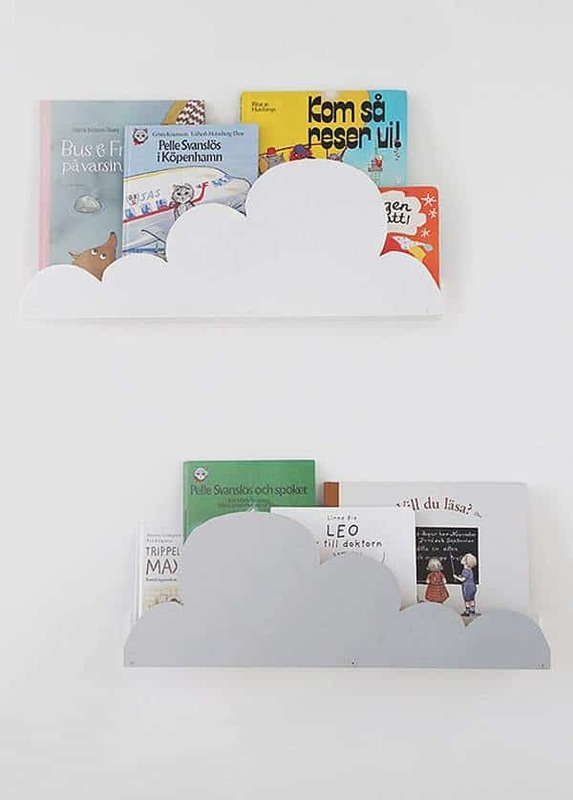 Whatever your bedroom or playroom theme is, these pretty fluffy cloud bookshelves can match it! This project is so simple, but adds a creative and unique flare to your child’s room that you can’t find with a regular bookshelf! Check out the full tutorial on Petit and Small by DecoPeques! Books are so important to our little ones. Did you know that even having books in your house can help your child? Check out this beautiful, simple, and totally customizable bookshelf by City Mom. It’s ridiculously easy to DIY and super affordable! Citymom.nl has tons of ideas for colors and design. Check it out here! I think I was made for this seat. How cozy and comfy can you get?! I love the clean and cool vibe this reading corner gives off – almost like it’s not even trying to be cool – you know? Swoon. This window seat is sure to make your child or teen want to climb up, settle in, and read a good book. As long as momma doesn’t settle in first ;). Check out this perfect window seat by Viviane Panagos at ish & chi. 10. 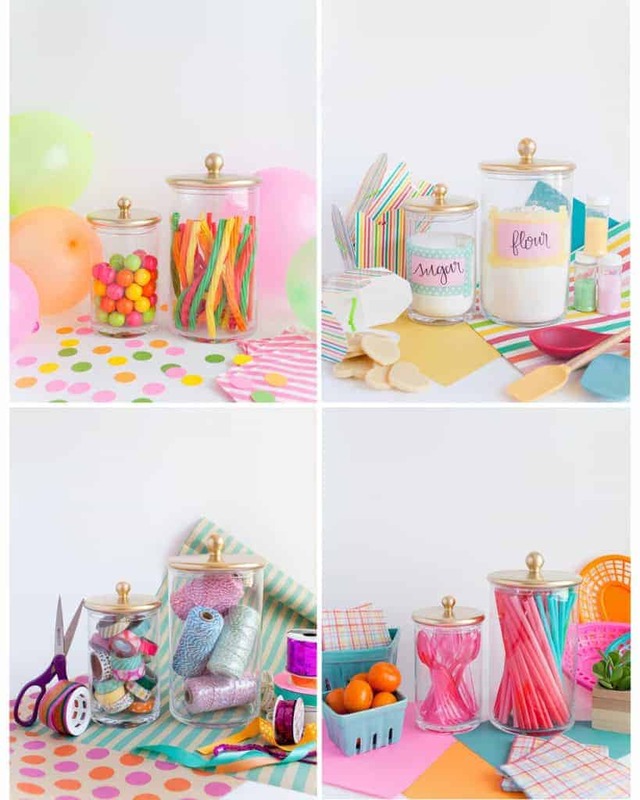 Organized Jars – for Every Thing! Markers, colored pencils, dinosaurs, bows…These jars were meant to be filled and organized with your stuff. Whatever you’ve got, I’m pretty sure these jars can handle it and make your playroom look complete. For the easiest how-to tutorial, look no further than here at Tell, Love, & Party! Sitting at the kid’s table has never looked so cool, or so beautiful in your house! Whatever colors you choose, brighten up the IKEA Latte Table, with some pretty paint and cushions. I’m obsessed with these gold dipped chairs! Check out Cook Like A Champion for the details to make your own! Grab the IKEA Latt Table & Chairs on Amazon for less than $50! Whether it goes in the bedroom or a playroom, a giant pillow that you can sit on or play on is a MUST! 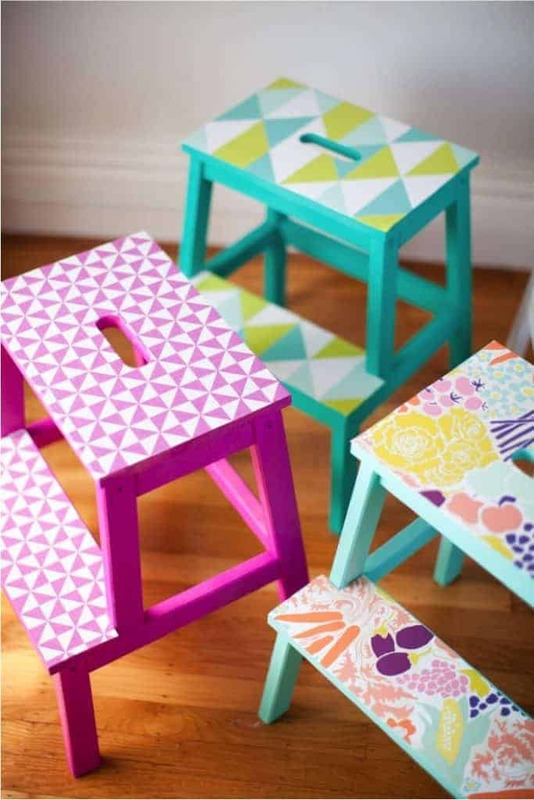 Of all the IKEA hacks for kids – this one is so easy to customize. Whether you’re going for a gorgeous pouf or a wild and fun print – your room will feel more complete! 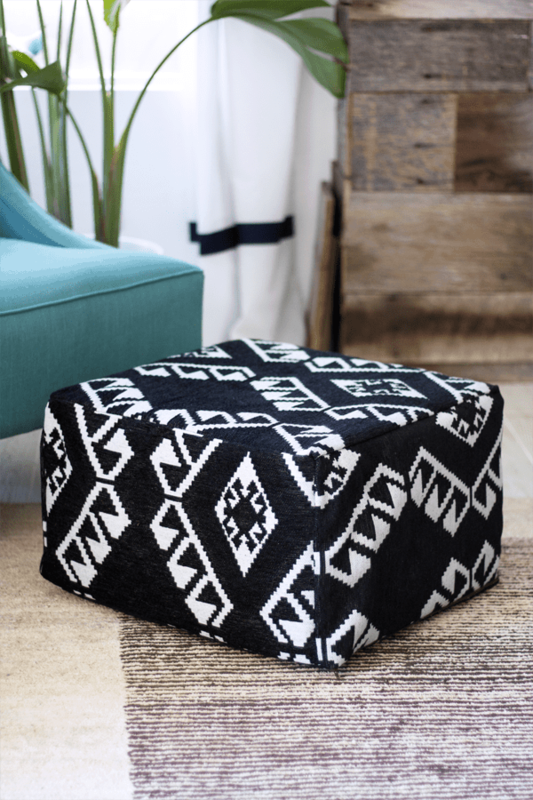 Not only did Kristi Murphy make this pouf fashionable, she also made it budget friendly! 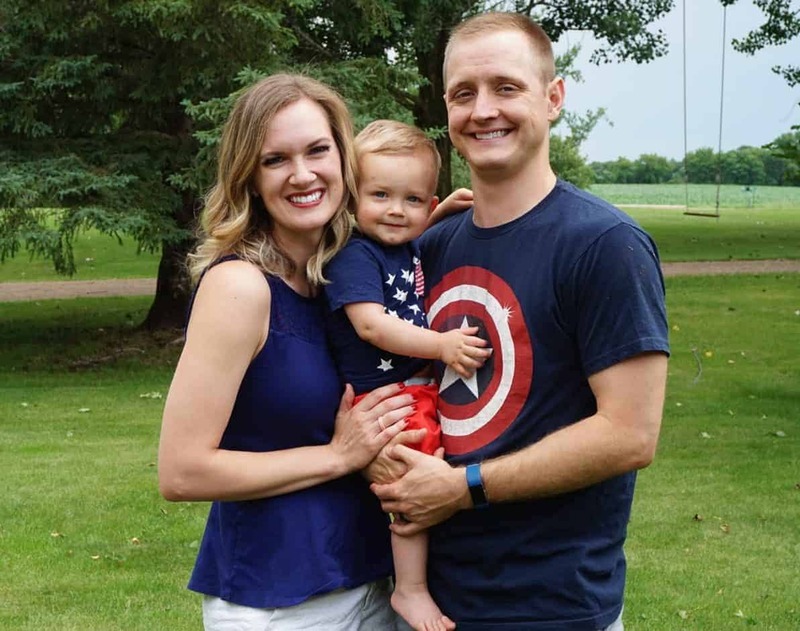 Check out this budget friendly IKEA hack here on Kristi Murphy’s site! If DIY is not your style – Amazon has a ton of choices for less than $100! 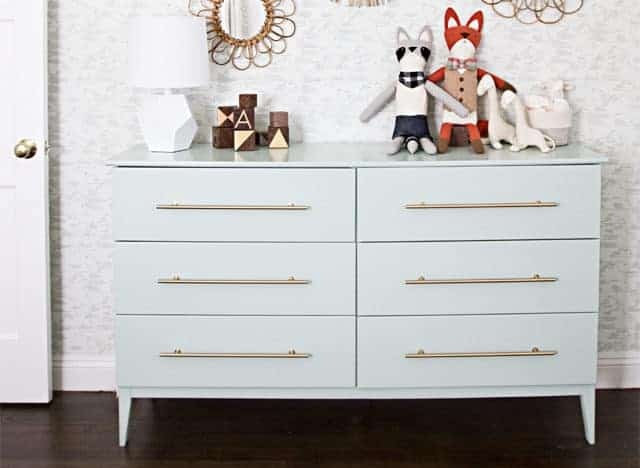 Whether you’re looking for IKEA hacks for kids or creating your baby’s nursery – these dressers can be created to perfectly match your child’s bedroom theme. I’m swooning over my love for these pretty dressers! Check out the tutorial here on Sarah Sherman Samuel’s site! Here’s another designer, Davia Carole Broberg‘s take on the gorgeous dresser! 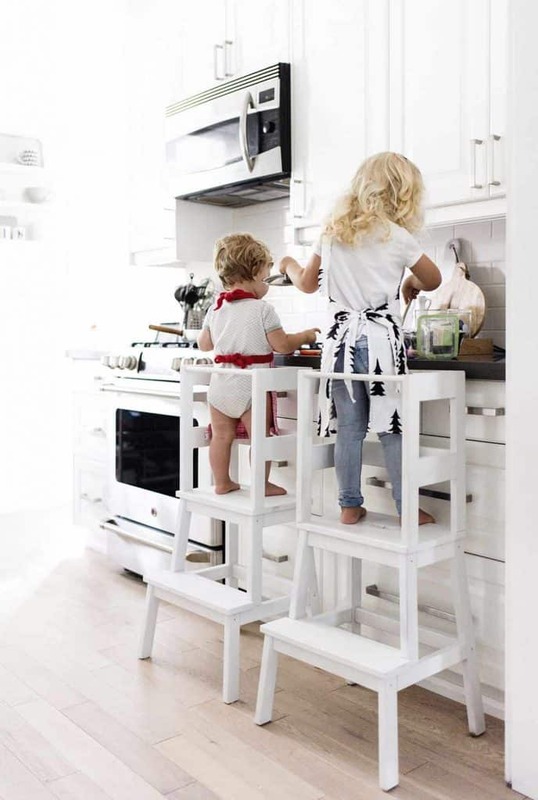 If your child always wants to help or just can’t quite reach the sink yet – these adorable stools will come in handy. Check out This Little Street’s easy DIY tutorial to create your own for your little one. Check it out here! Doesn’t it always seem like there’s never enough space for all your kid’s things? Corey at Hey There Home, has totally solved this problem by creating a storage station under her son’s bed using some IKEA hacks for kids. This incredibly smart storage solution will have your kids wanting to clean their rooms. Okay, maybe not, but it sure can’t hurt! Check out Corey’s perfectly detailed tutorial to create your own space saving furniture. Check it out here! 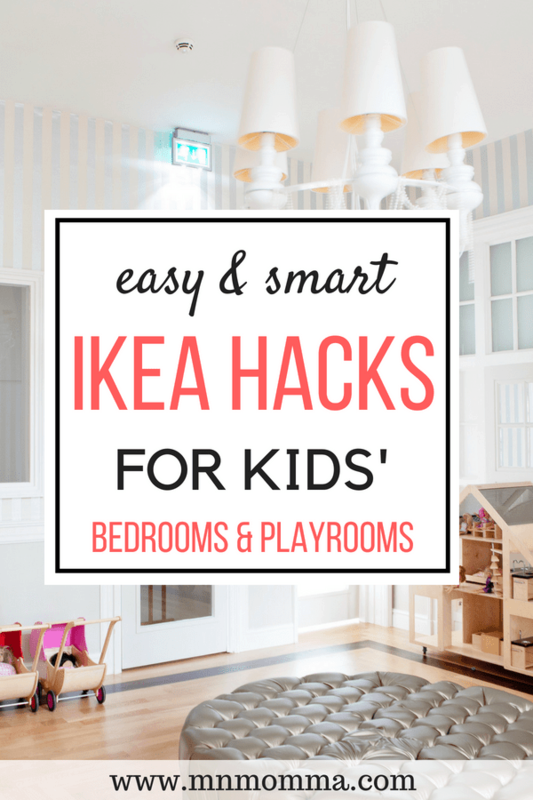 Now that you’ve got the ideas and some easy to follow tutorials – these IKEA hacks for kids will practically build themselves, right? If you’re looking for more amazing IKEA hacks, check out these beautiful IKEA nursery hacks for your baby! 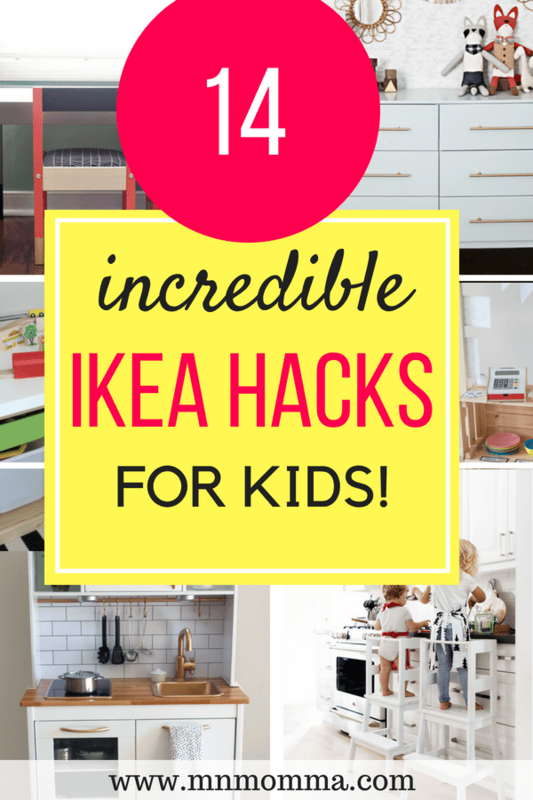 Loved this article especially point about 14 Incredible IKEA Hacks for Kids!